NJ.com reports that wide receiver Ben Edwards tore the anterior cruciate ligament (ACL) in one of his knees during the rookie mini-camp practice on May 7. As we previously reported, Edwards was waived/injured on May 9. He cleared waivers and was placed on Injured Reserve. Edwards also suffered a mild left knee sprain during the April mini-camp and suffered an ACL tear in college in 2013. It is not known if the most recent injury is to the same knee. As we previously reported, linebacker Uani ‘Unga was waived/injured with an undisclosed injury. He too cleared waivers and was placed on Injured Reserve. 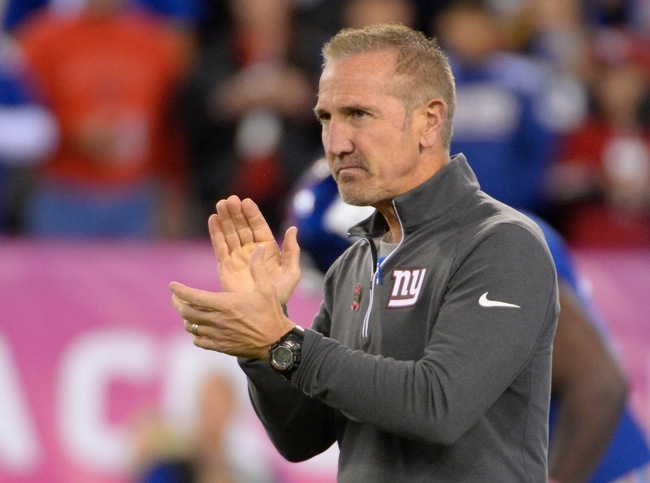 The New York Giants have announced that players will report to the team’s training camp at Quest Diagnostic Training Center in East Rutherford, New Jersey on July 28. For an overview of key dates, see the Important Dates section of the website. Unrestricted free agent cornerback Jerraud Powers (Arizona Cardinals) has signed a 1-year, $1.75 million contract with the Baltimore Ravens. Powers had visited the New York Giants on March 31-April 1. NJ.com is reporting that the Giants had offered a 1-year deal worth just under $2 million. According to press reports, unrestricted free agent cornerback Jerraud Powers (Arizona Cardinals) did meet the New York Giants on Thursday and Friday. However, NJ.com is reporting that Powers apparently left without a deal. 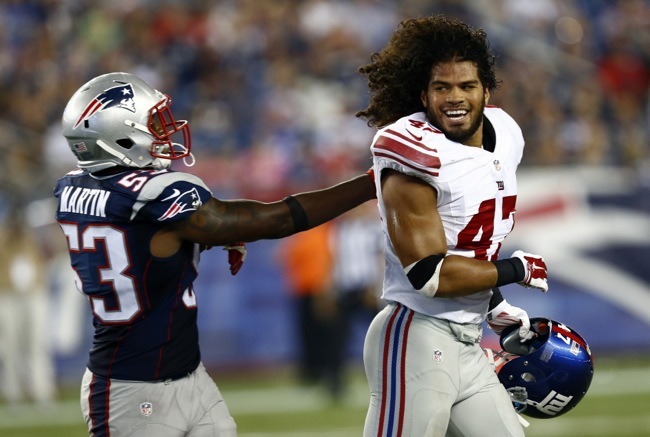 The 28-year old Powers was originally drafted in the 3rd round of the 2009 NFL Draft by the Indianapolis Colts. He signed with the Arizona Cardinals as a free agent in March 2013. In seven NFL seasons, Powers has played in 87 regular-season games with 82 starts. In 2015, he started all 13 regular-season games he played in, and finished the season with 52 tackles, one sack, nine pass defenses, and one interception. Powers has 11 career interceptions. 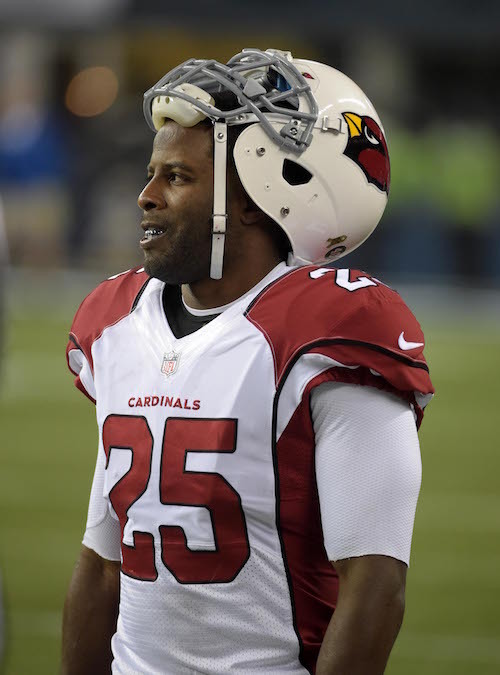 ESPN and The NFL Network report that unrestricted free agent cornerback Jerraud Powers (Arizona Cardinals) will visit the New York Giants on Thursday. The 5’10”, 187-pound Powers lacks ideal size and top-end speed, but he is he is a very quick, experienced, smart, and steady corner who plays well in the slot position. Powers has had some durability issues although he has only missed three regular-season games in the last three seasons. While Dominique Rodgers-Cromartie and Janoris Jenkins form a very strong starting duo at cornerback, the Giants have little quality depth at the position. Prince Amukamara signed with the Jacksonville Jaguars in free agency. The other cornerbacks on the roster include Trevin Wade, Tramain Jacobs, and Leon McFadden. Trumaine McBride and Jayron Hosley are unrestricted free agents who may not be re-signed.